A modern Photography WordPress theme. 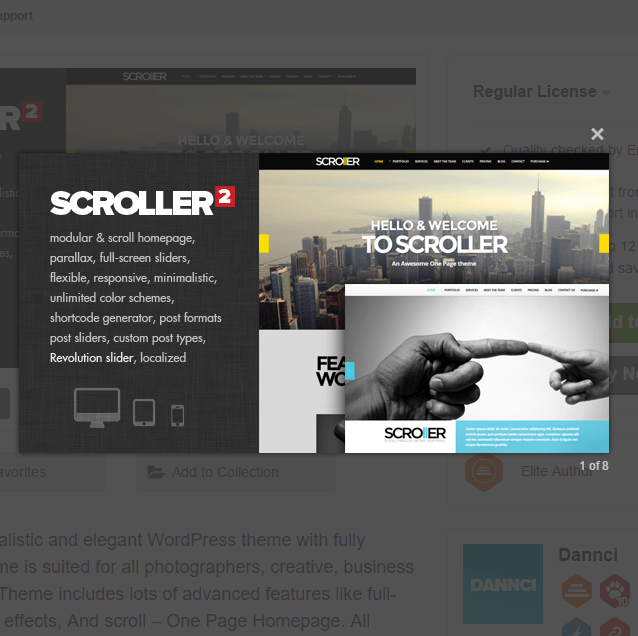 Parallax, scroll and responsive Onepage Photography WordPress theme. A WordPress theme for showcase Portfolio. The King Size theme is a Responsive Fullscreen WordPress theme which is great for Photography sites. This theme is an ideal option for Artists, Bloggers, Businesses, Designers, Photographers and many more. 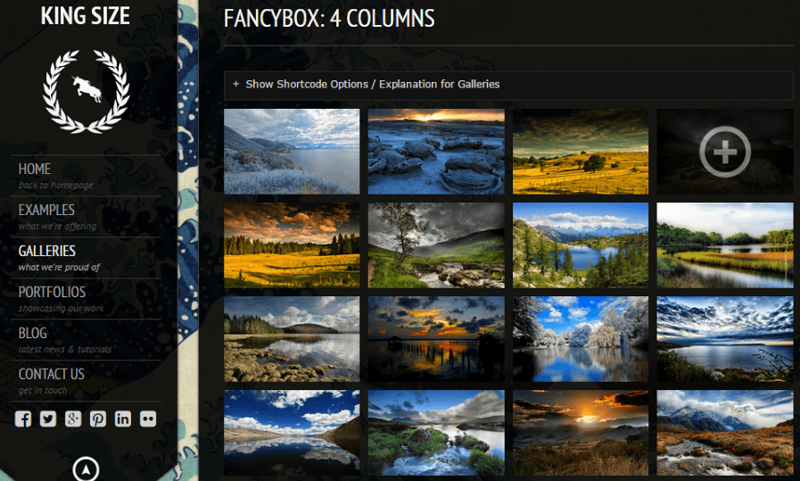 This theme gives support to 7 unique gallery layouts like Colorbox with 2-4 columns & grid layout, Fancybox with 2-4 columns & grid layout, PrettyPhoto with 2-4 columns & grid layout, other layouts are- Galleria, Orbit and Slideviewer. These many gallery layouts are center of attraction of this theme thus giving 17000+ satisfied buyers. This theme gives full support to fullscreen background images, videos and sliders. It gives unlimited Portfolios that supports all types of images, MP4, vimeo, YouTube and other embeds as well. Portfolio layout can support up to 4 columns and amazing hovering effects. It is a widget ready theme and also provides custom widgets like twitter, gallery and contact session. This theme is bundled with plenty of other features, one of which is that it provides 35+ shortcodes for tables, Lists, Blockquotes, Buttons, ToolTips, Columns, Info, Warning, Error and Download Boxes, dropcaps, video embeding, Contact form, Buttons, price tables etc. This theme is compatible with WPML plugin that makes your site multilingual. This theme gives user-friendly admin panel with several Theme Options for easy & customization to the fullest. Fantastic customer support! This is the first website i’ever created and clapat answered all of the my questions and helped me throughout. Customer support really deserved 5 starts!!! A WordPress theme for photography and Portfolio. Responsive and Retina Ready Multifunction Photography WordPress theme.